I'm stoked! 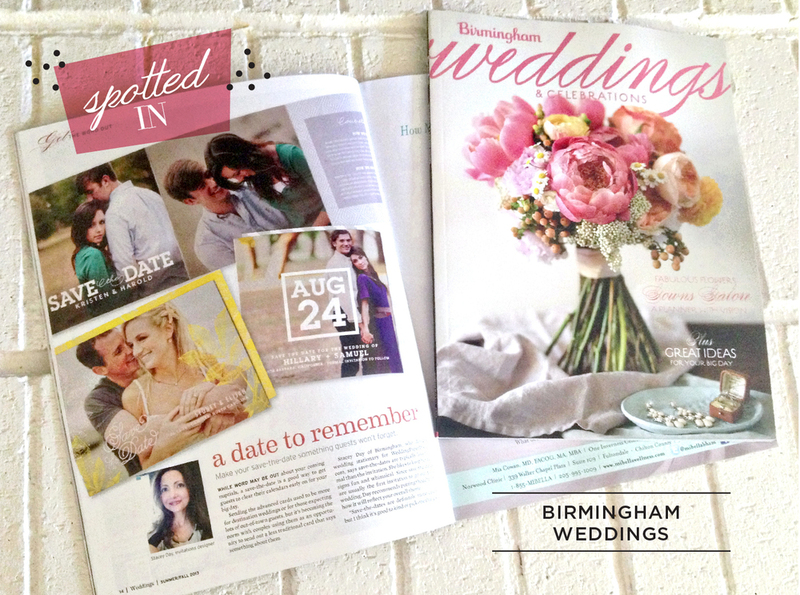 Birmingham Weddings [a special issue of Birmingham Magazine] featured some of my save the date designs from Wedding Paper Divas in this month's issue. Thank you so much, Birmingham Weddings! The issue is beautiful, and I am so happy to be have my designs in it.